Whenever Alberta’s economy slows down, it’s often up to parents to pick up the slack. Heading into the 2015 election, the Conservative government planned on forcing Alberta schools to absorb 12,000 more students without funding for teachers or textbooks. Facing rapidly dropping oil prices, families of Alberta’s 600,000 students could expect more school fees, more crowded classrooms and harder years ahead. Rachel Notley argued that kids and schools shouldn’t bear the brunt for Conservative failures. By refusing to mortgage Alberta’s future, Notley’s government turned Alberta’s conventional wisdom on its head. In the midst of one of Alberta’s worst downturns in decades, Notley’s government heeded advice from former Bank of Canada economist David Dodge and invested in long neglected infrastructure. 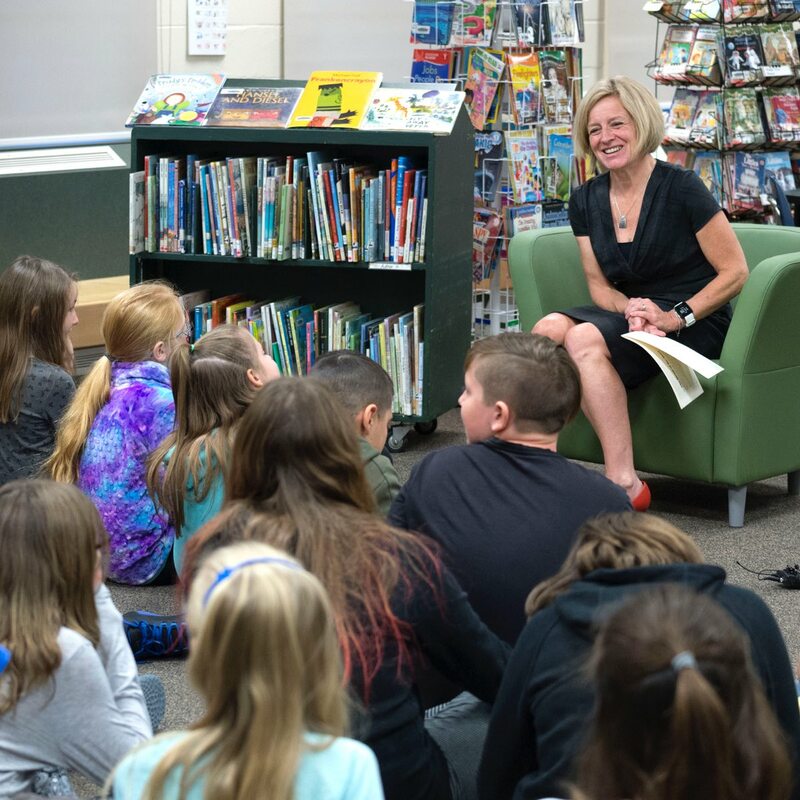 Across the province, Notley funded 244 school projects, helping Alberta catch up after a decade of dramatic population growth. To help students get the most they can out of each school day, Notley created a nutrition program that is helping more than 30,000 students receive a daily nutritious meal. She committed to build playgrounds for all new schools, and announced a pilot project to improve existing playgrounds. And Notley reduced school fees for supplies, materials and transportation costs, an increasing burden off previous governments offloaded onto parents. Overdue changes have been gradually shaping the classroom. Funding for enrolment growth and additional support staff has meant more than 4,000 teaching and support staff positions. As part of a six-year curriculum update announced in 2016, draft K-4 curriculum has been released for field testing. The new curriculum will include Indigenous perspectives and experiences and has received feedback from more than 100,000 Albertans. While Notley has committed to keeping education a top priority, the UCP has openly mused about diverting funding from public education in favour of American-style private schools. Notley remains undeterred. Parents who want a good education for their kids shouldn’t have to pick up the slack for Conservative experiments.